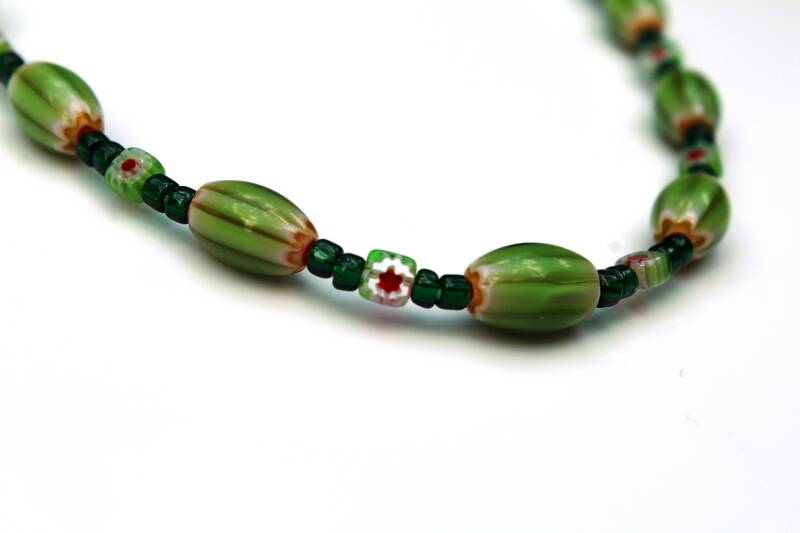 This Millefiori glass bead necklace was inspired this summer by delicious, sweet, juicy watermelon! The red and green colors are naturally beautiful together, just like when you slice into the fruit. This eyeglass chain has a pretty toggle clasp that helps to make such a short necklace easy to put on. 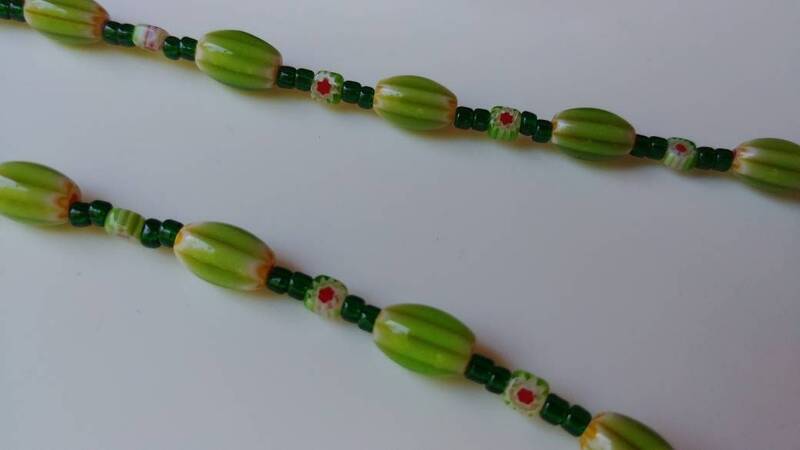 The watermelon shaped beads are approximately 1 cm long. 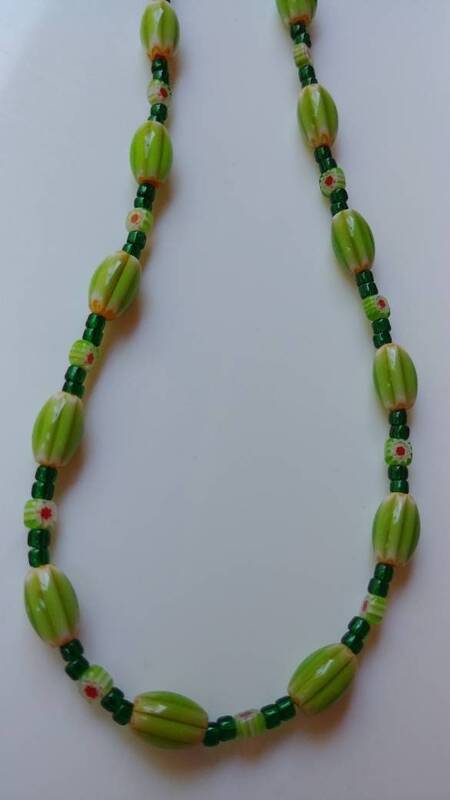 The entire necklace is approximately 17 inches long. 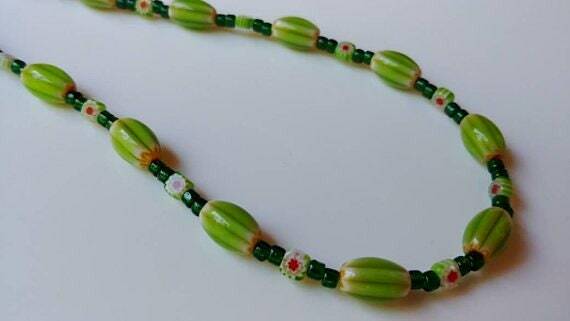 This necklace is an original design, created and handmade by MichelesAManoDesigns.